Langenfeld, Germany: At the ceremony celebrating the winners of the second edition of INNOVACE, the student competition launched by ACE Stoßdämpfer GmbH, two teams stood out as equal champions this late November: Nico Graßmann and Rick Storm of the Fontys Venlo University of Applied Science, The Netherlands, as well as Mathias Blessing, Jannik Montag and Chris Taschelmayer from the Technical University Georg Agricola from Bochum, Germany, convinced the jury with their victorious concept designs for a mechatronic retaining and releasing system. Both teams provided the technical evidence required in the call for tenders that their locking retainers with integrated damping and the releases using a smart phone as external control device work. Accordingly, the prize money, a total of 7,000 Euros, was split between the two winning teams. 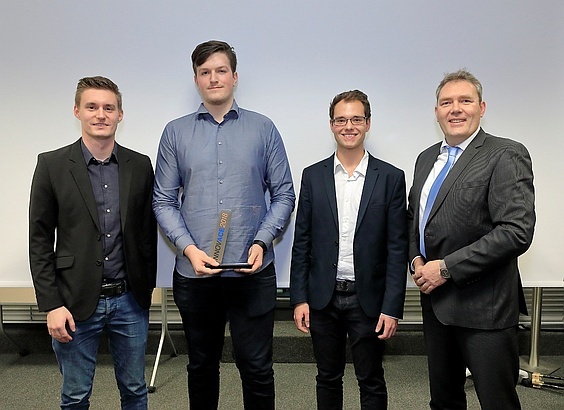 This year, for the first time, universities from outside of Germany participated with their designs and prototypes to win INNOVACE 2018. André Weßling, responsible for global marketing at ACE and one of the initiators of this student competition, expressed his joy about the international entries and the resulting greater response and communication: "In comparison to last year's competition, there was a stronger participation during all of the stages in 2018. Among other activities, we communicated with the teams in web conferences and answered questions on the phone, as well as by mail with a lot of efforts coming from two of our trainees, young academics themselves." Overall, the quality of the submissions was at such a high level that it was difficult for the five-member jury of ACE to declare just one team the winner after having evaluated all their demanding and extensive technical preparations. This difficulty also resulted from the different approaches chosen by the teams that won the INNOVACE 2018 award in the end. While the elaboration from Bochum follows the classic, methodical development approach from the school of mechanical engineering, the solution provided by the University of Venlo in the Netherlands also includes elements of product design and is more liberal in shape and idea development. 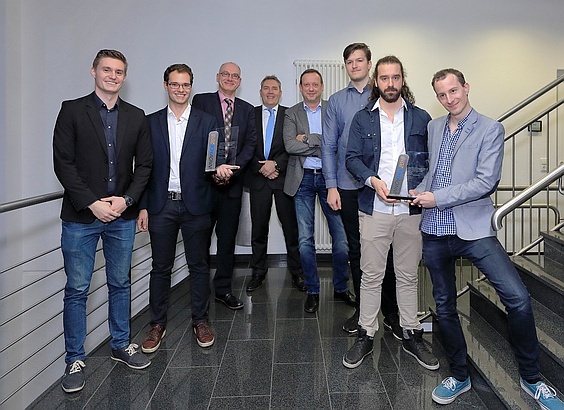 The jury of ACE, including the two academic trainees, were faced with a stalemate, even after intensive discussions and assessments of the two descriptions, calculations and prototypes. 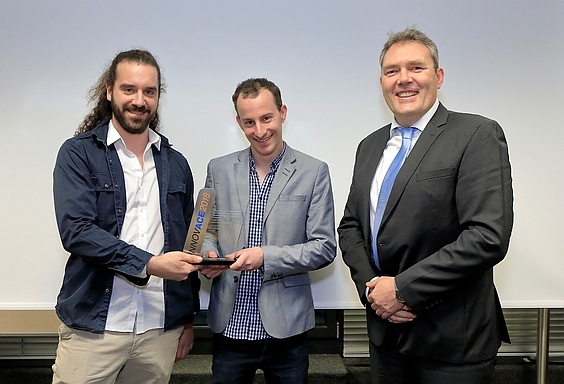 "Thus, there are two equal and well-deserved winning teams this year," explains André Weßling and concludes: "the quality of all submitted papers is of such excellent quality that we are not worried about the future of young academics in Europe."